The liberals like Bernie Sanders who oppose Donald Trump’s wall on the Mexican border are silent on the wall in Palestine. The polemic by Dave Rich of The Zionist Community Security Trust (CST)  against Gerry Downing. We describe this Zionist as an honest opponent who alleges we are antisemitic and should be expelled from the Palestine Solidarity Committee but this is from his clear standpoint that Marxism, beginning with Marx, is antisemitic. Here we seek to show that our “half-baked Marxist approaches to complex world events” is, in fact, the genuine Marxist doctrine of universal human liberation by relying on the works of Karl Marx, in particular his On the Jewish Question (1844) and Abram Leon’s The Jewish Question (1942). Leon was a Polish/Belgian Trotskyist Jew who perished in Auschwitz in 1944 at the age of 26 for leading a miners’ strike against the Nazis in Belgium. A summary of the Socialist Fight position on Israel/Palestine; what our understanding of the Jewish Question means in practical terms for our politics. So all these were antisemites too, the Zionists would have us believe! The following tweets were posted on 2 April: David Osland (@David__Osland): “Gerry Downing has today been expelled from the Labour Representation Committee, on account of his antisemitism. Correct decision” and Andrew Coates (@Pabloite): “Gerry Downing was this afternoon expelled from the Labour Representation Committee, by unanimous decision, on grounds of his antisemitism”. David Osland whose twitter profile claims, apparently falsely, that he is a National Committee member of the LRC, was quite aware that this was an absolute lie when he tweeted it and Andrew Coates did not even bother to check the truth of it so anxious were they to blacken the name of Gerry Downing and Socialist Fight. “Does the Labour Party have “a problem with anti-Semitism”? This accusation gained prominence in March 2016, when two Labour Party members, Vicki Kirby and Gerald Downing were removed from the organisation; generating several comment pieces in the national press. In addition to this, allegations had been made against Labour-affiliated students at Oxford University. The commentaries bemoaned the Labour party and its leader, Jeremy Corbyn, for not doing enough to tackle anti-Semitism; and, in some cases, suggested that they have actually encouraged the prejudice. So then, are these claims supported by evidence; and does the Labour party, or its leader, have a case to answer? No. In fact, what becomes clear when the various allegations are tested against the evidence is that they are not merely inaccurate, but in most cases false. This is cause for concern in its own right. Firstly, let’s look at the allegations made against Vicki Kirby and Gerald Downing – the two people whose removal from the Labour party precipitated a deluge of commentaries. …The tweets in question (Kirby’s ) were also compiled by the GuidoFawkes blog – there are six in total; dated between 2011-2014. Four of them are from August 2014. Kirby was suspended from the Labour party on 15th March 2016. So, both of her suspensions revolve around the same six tweets. Moreover, the GuidoFawkes Blog had also broken the story about Gerry Downing . It published a piece about him on the 8th of March 2016; decrying him as an apologist for Al Qaeda’s attack on the United States in September 2001. A day later it published a second piece on Downing, entitled ‘Gerry Downing “we must address the Jewish question”. So, those are the allegations of anti-Semitism made against Kirby and Downing; and it would be fair to say that the GuidoFawkes blog has played a key role in bringing these two stories to mainstream media attention. 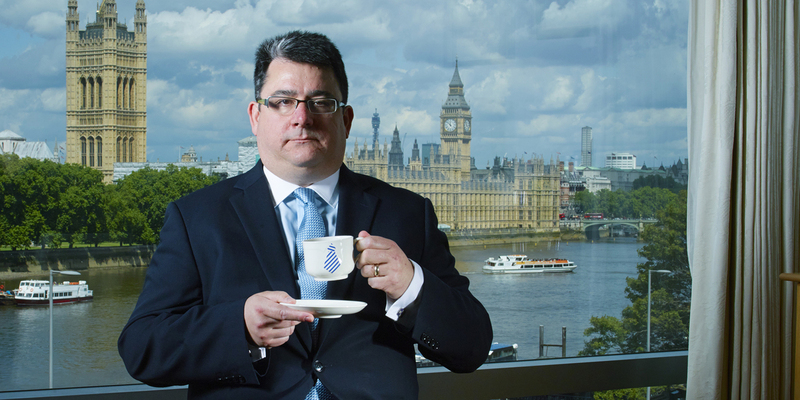 The machinations of Paul Staines, the rightwing Tory blogger Guido Fawkes, to blacken the name and misrepresent the politics of Socialist Fight is here exposed by Richard Hutton. This is the point at issue, here: it isn’t entirely clear whether these two individuals are anti-Semitic; or whether their criticisms of Israel are poorly worded. It could be either which is true. Their views on Israel could be rooted in racism; but they could equally well not be. Either way, the facts of both cases fail to support the conclusion drawn by Freedland that Kirby and Downing’s membership of the Labour party has implications for its leader, Jeremy Corbyn. Both of them joined the party before Corbyn was elected to lead it – both were removed while he leads the party. Freedland is not alone in alleging that Jeremy Corbyn is implicated in anti-Semitism; nor is it a suggestion limited to media columnists. A number of the Labour party’s own MPs have written pieces – or made public statements – which contended that anti-Semitism has become a problem within the Labour party, specifically because of Jeremy Corbyn’s leadership. Do they have any more of a point than Freedland? No. In fact, this is where the conflation of anti-Semitism with criticism of Israel’s government becomes deeply problematic. Writing in the Telegraph, Tom Harris – a former Labour MP – suggested that ‘The Labour Party is increasingly anti-Semitic’. From the outset, however, Harris amalgamates criticism of Israel with anti-Semitism; stating that: “The influx of anti-Israel far Left supporters has worsened the bias of the PLP against Jewish people”. The cases of Kirby and Downing are cited as the proof that this has been due to Corbyn’s leadership. Needless to say by now, this is untrue. “the recent growth in party membership as a root cause of Labour’s current anti-Semitism problem: hatred of Israel – real, blind, vicious, hatred – is felt most keenly and most loudly by those on the extreme Left, many of them Trotskyites who joined to shore up Mr Corbyn’s leadership and who see him as the world’s last best hope of overturning capitalism and, they hope, Israel while he’s at it”. In fact, Harris goes on to make it plain that he sees criticism of Israel as intrinsically anti-Semitic: “anti-Zionism is not the same as anti-Semitism, these people plead in their defence…Yet what is Zionism other than support for the creation and continued existence of the state of Israel?” Harris concludes because of this that “Labour must not, cannot tolerate such a view”; and that “Labour does indeed have a problem with Jews”. The same trait has been apparent in Mann’s statements on anti-Semitism since at least 2006, when he published a letter in the Guardian proposing to “redraw the line between acceptable debate and veiled anti-semitism”; which focused on discourse surrounding Israel. Bemoaning “the incipient growth of anti-semitism on the left under the cloak of anti-Zionism”, Mann complained about critiques that do “not draw a line beyond which legitimate debate becomes illegitimate, and where hostile becomes offensive”. So, what constitutes this line? It’s not made clear – if anything, Mann keeps it opaque. For example, in the same letter, Mann cites ‘the AUT academic boycott’ as crossing the putative line. But what is this boycott, if not an objection to the discriminatory practices within Israeli universities; and therefore opposition to Israeli government policy? So what does apply here? Either Jewish identity is intrinsically bound up with the state of Israel, or it isn’t. All told, the more Mann and his peers opine on the subject, the less distinct the difference between criticism of Israel and anti-Semitism appears; and if these commentators cannot draw a definitive divergence, then it’s unreasonable for them to fault others when they follow suit. This persistent confusion perhaps goes some way towards explaining why so many problems accrue when attempting to discern anti-Semitic sentiments from criticisms of Israel. This was evident in the comments made by Vicki Kirby and Gerry Downing at the heart of this, after all; most of which were devoted to criticisms of Israeli policy, while making references to people who are Jewish. This view of national aspirations and solutions, that it was merely an obstacle to achieving socialist consciousness which would disappear as soon as the revolution triumphed, was a feature of the early Marx and a feature of the later Second International under August Babel and Karl Kautsky and even the early Bolsheviks to a certain degree only until it was so powerfully rejected by Lenin in his last struggle against Stalin in defence of the rights of self-determination of Georgia and Ukraine in 1923. 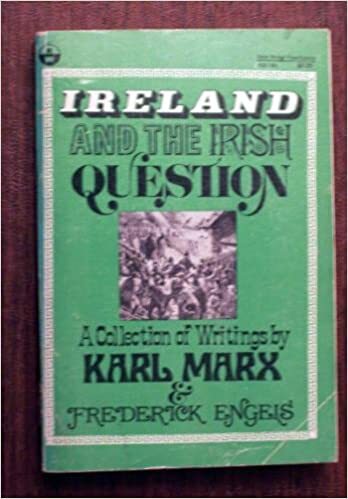 However Marx changed his position on Ireland in 1867 in his well-known ‘Irish Turn’ and this signalled a changed attitude on the national question of oppressed peoples in general. It is well known that when the Russian Tsarist pogroms began in the last years of Marx’s life, from 1881 we did not hear the type of language used by him in the 1843 work, now it was clear that Jews in the Pale of Settlement had become socially differentiated and were very oppressed and Marx and Engels championed their cause. The position of Kautsky and the later Second International on the colonial question became increasingly worse with ever more open support for the ‘civilising effect’ of imperialist colonial conquest, mitigated of course with condemnation of the worst excesses. This eventually led to the collapse of the Second International on 4 August 1914 where no votes were recorded against the granting of war credits to the Kaiser to pursue WWI, and only Karl Liebknecht abstained and voted against in December of that year AND then went on to develop the current line on imperialist wars for all serious Marxists, “the main enemy is at home”. During my youth I rather leaned toward the prognosis that the Jews of different countries would be assimilated and that the Jewish question would thus disappear in a quasi-automatic fashion. The historical development of the last quarter of a century has not confirmed this perspective. Decaying capitalism has everywhere swung over to an exacerbated nationalism, one part of which is anti-semitism. 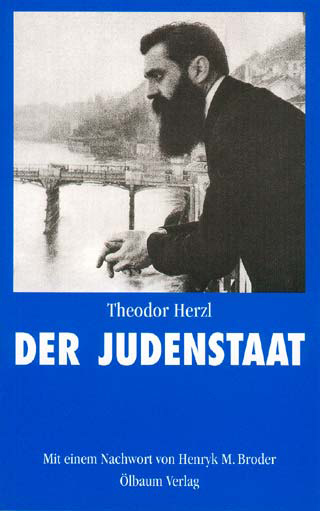 The Jewish question has loomed largest in the most highly developed capitalist country of Europe, in Germany. On the other hand the Jews of different countries have created their press and developed the Yiddish language as an instrument adapted to modern-culture. One must therefore reckon with the fact that the Jewish nation will maintain itself for an entire epoch to come. Now the nation cannot normally exist without a common territory. Zionism springs from this very idea. But the facts of every passing day demonstrate to us that Zionism is incapable of resolving the Jewish question. The conflict between the Jews and Arabs in Palestine acquires a more and more tragic and more and more menacing character. I do not at all believe that the Jewish question can be resolved within the framework of rotting capitalism and under the control of British imperialism. And how, you ask me, can socialism solve this question? On this point I can but offer hypotheses. Once socialism has become master of our planet or at least of its most important sections, it will have unimaginable resources in all domains. Human history has witnessed the epoch of great migrations on the basis of barbarism. Socialism will open the possibility of great migrations on the basis of the most developed technique and culture. It goes without saying that what is here involved is not compulsory displacements, that is, the creation of new ghettos for certain nationalities, but displacements freely consented to, or rather demanded by certain nationalities or parts of nationalities. The dispersed Jews who would want to be reassembled in the same community will find a sufficiently extensive and rich spot under the sun. The same possibility will be opened for the Arabs, as for all other scattered nations. National topography will become a part of the planned economy. This is the grand historical perspective that I envisage. To work for international socialism means also to work for the solution of the Jewish question. Noteworthy here is the assertion that the Jews do constitute a nation and that a homeland could and should be found for them under socialism. But that does not mean that Trotsky in 1937 or the Trotskyists after 1948 conceded anything to Zionism or the illegitimate state of Israel formed on the expulsion of another people, we do not claim that this is the Jewish nation nor do we cease calling for its overthrow and a for a Multi-ethnic Workers State of Palestine in a Socialist Federation of the Middle East. History has cruelly frustrated Trotsky’s and Leon’s socialist aspiration almost entirely due, we would suggest, to the defeat of the World Revolution post WWII, to the victory of Zionism in the land of Palestine, assisted by Joe Stalin himself who was the first to recognise that state in 1948 and his Stalinist stooges in Czechoslovakia who actually armed the neo-fascist Zionist murder squads that slaughtered the whole population of the village of Deir Yassin, to give just one example, to expel 700,000 Palestinians to make space for the Jewish state. Stalin perpetrated a brutal and cynical betrayal of socialist principles and the whole Palestinian nation. This was assisted by Stalin himself who was the first to recognise that state in 1948 and his Stalinist stooges in Czechoslovakia who actually armed the neo-fascist Zionist murder squads that slaughtered the whole population of the village of Deir Yassin, to give just one example, to expel 700,000 Palestinians to make space for the Jewish state. Stalin perpetrated a brutal and cynical betrayal of socialist principles and the whole Palestinian nation. And we recall that Stalin was in the forefront in the use of antisemitism against Trotsky and the Left Opposition, several of whose leaders were Jews, from the late 1920s. Antisemitism was very apparent during the blood purges of the mid to late 1930s, culminating in the Stalin Hitler pact where the Soviet NKVD and the Gestapo cooperated in exterminating Trotskyists and Jews in Poland from 1939-41. The brief assistance Stalin gave to Zionism to found the State of Israel in 1948 soon soured; the “Jewish Doctor’s plot” only failed to exterminate a whole section of professional Jews because Stalin died in time in 1953. Show trial of Jewish “rootless cosmopolitans” and “Zionist conspirators” had taken place by then in Poland, Hungary, Romania, East Germany, and Bulgaria. 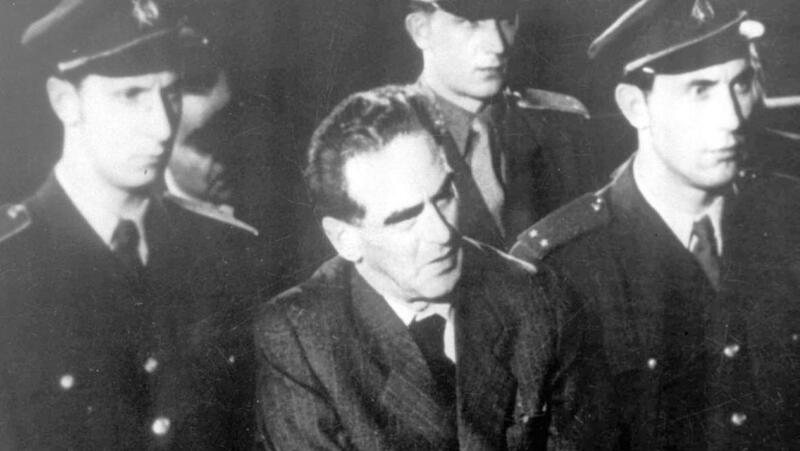 The 1952 Slansky Trial in Czechoslovakia is the most famous and outrageous. Marx and Abram Leon located the Jewish Question in the sphere of the global class struggle, not in the project to emancipate Jews, or any other oppressed minority, not in the confines of a single nation but in the entire interrelationship of forces that constitute the life and death struggle between the last two remaining great classes on the planet, the capitalist/imperialist class and the working class as it exists fundamentally and existentially; a global class. Leon takes up where Marx left off. That is what he is condemning not individual Jews or their religion. And that is how Abram Leon tackles the question to – the famous “people class” of his analysis looks to the material basis of the Jewish people as both oppressors and oppressed in feudal society. In fact Marx wrote the pamphlet in defence of Jews and their rights and in the course of the work he set out the whole basis of his critique of capitalism and its ideology, later elaborated in his major work Capital and elsewhere. We will run through the arguments he made in the work briefly to show their importance. 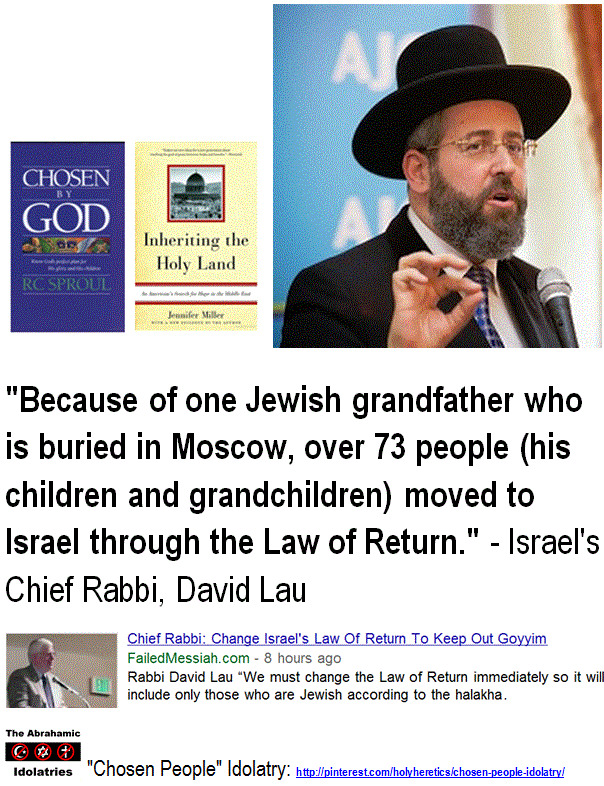 “Eternal” Judaism, which, moreover, has never been anything but a myth, will disappear. It is puerile to pose assimilation and the “national solution” as opposites. Even in those countries where Jewish national communities will eventually be created, we will be witnessing either the creation of a new Jewish nationality; completely different from the old, or the formation of new nations. Moreover, even in the first case, unless the people already established in the country are driven out or the rigorous prescriptions of Ezra and Nehemiah are revived, this new nationality cannot fail to come under the influence of the long-time inhabitants of the country. In the sphere of nationality, only socialism can bring the widest democracy. It must provide the Jews with the opportunity of living a national existence in every country they inhabit; it must also give them the opportunity of concentrating in one or more territories, naturally without injuring the interests of the native inhabitants. Only the widest proletarian democracy will make possible the resolution of the Jewish problem with a minimum of suffering. What slogans for the struggle? Whilst we are for a multi-ethnic workers’ state we are sensitive to the role that democratic demands might play in the revolutionary struggle. Demands for a constituent assembly and the fight for secular democratic rights are very likely to play a prominent part in the revolution but we know that these must be subordinate to the goal of overthrowing capitalism in Israel/Palestine but also in the entire region of the Middle East. Therefore the governmental slogan and the demands that lead up to it are important. For a Revolutionary Constituent Assembly is the correct mobilising slogan to draw together all the elements and nationalities in the region to begin the battle for workers councils and a soviet government. We reject the ultra-leftist notion that a revolutionary programme cannot contain such democratic demands as part of its whole strategy. Such a position rejects the attempts by the revolutionary party to relate to the current state of the class consciousness of the working class and the fight to bring it into the struggle which alone opens it up to the revolutionary programme as a whole. Smash of the settler-colonial state of Israel! For Workers Councils united across religious and ethnic divides! For a Multi-ethnic Workers State of Palestine in a Socialist Federation of the Middle East! For Workers Sanctions against Israel! Sever all links between the Histadrut and all international trade union organisations! Defends Hamas against the Zionist state! For the military victory of the anti-imperialist guerrilla organizations Hamas and Hezbollah in Palestine, Lebanon and Syria! Since then we have added one important element to our understanding; which is about the international dimension of Zionism. We note the evident power of Zionism in Western societies and its capacity to enlist the support of powerful ruling class and establishment politicians, from leaders of the Conservatives such as Cameron, to powerful elements of the right-wing of Labour including notably the Labour Friends of Israel and the so-called Jewish Labour Movement, a movement of supporters within Labour of the Israeli Labour Party. We note that both of the latter two organisations defend the state of Israel, and openly defend the dispossession of the Palestinian people in the Naqba. Some in these groups are overtly warlike and support repression of the Palestinians down the line; others claim to be for a two-state solution. The Israeli Labour Party is not and never was, unlike the Labour Party in Britain, a party independently created by the struggle of the working class for its own politics. It is a reactionary bourgeois party with ‘left’ phraseology. It is the party that carried out the Naqba in 1947-9. When it was in power in the 1950s it initiated the attack on Egypt along with the British Tories and French imperialism for nationalising the Suez Canal, an attack that UK Labour even under right-wing leadership correctly opposed. It also was responsible for the conquest of the West Bank, Gaza and the Golan Heights in the 1967 war. It instigated the military occupation of the West Bank and Gaza and when Palestinians rose up in the first intifada in 1987, as part of the government at that time the then Israeli Defence minister Yitzhak Rabin called for state forces to ‘break the bones’ of children taking part in the intifada. As Prime Minister, later assassinated by an ultra-rightist for even daring to talk to Palestinian representatives, Labour’s Rabin oversaw the supposed implementation of the Oslo accords which were supposed to lead to a two-state solution. But during Olso, the rate of settlement of the territories occupied in 1967, the West Bank and Gaza, did not decline to nothing as you might expect were there any intention of a settlement, but massively increased. The Oslo accords were a fraud designed to disarm the Palestinians so that settlements could continue without resistance. This is the organisation that claims to be waging a campaign against ‘anti-semitism’ in Labour. It is our contention that the “Jewish Labour movement” and its handmaiden the ‘Labour Friends of Israel’ are in fact racist, communalist organisations that exist to incite racial hatred against Arabs within Labour and to build support for murdering and ethnic cleansing of Palestinian civilians. Far from proscribing anti-racist, socialist organisations such as Socialist Fight, Labour should be proscribing these racist currents, which are a fifth column within Labour for Israel and Israel-supporting currents, and to put it bluntly a bunch of far-right murdering racists. The ‘Friends of Israel’ groupings work closely with each other. This was shown in the witchhunt against comrade Downing, when David Cameron (Conservative Friends of Israel) and his shady friend Guido Fawkes (Paul Staines) exhibited such synergy with our own ‘Friends of Israel’ (see the Hutton investigation quoted above) in demanding comrade Downing’s expulsion. These organisations in Britain are smaller versions of AIPAC in the United States, whose power is feared by politicians of all parties. As shown by the fact that both Hillary Clinton and Donald Trump attended its recent convention, and engaged in a kind of Dutch Auction as to who could express the most extreme pro-Israel policies, including things like recognising Jerusalem as Israel’s capital, and tearing up Obama’s deal with Iran with a view to military attack. The 6.6 million Palestinians, refugees and their descendants driven out in successive waves by murderous ethnic cleansing beginning in 1948 have no right of return, of course. We believe that these very powerful organisations in the Western countries exist specifically to promote Zionist ethnocentric politics. That is, they are racist anti-Arab trends in Western politics, and represent a powerful trend within the ruling class itself. Their material basis is the overrepresentation of Jews, far beyond their numbers in the population as a whole, among the super-rich, which is a material fact that is frequently boasted about in any number of Jewish publications, as well as some no doubt anti-semitic ones. Be that as it may, these tend to corroborate each other. If you combine this with the effect of the racist Israeli Law of Return, which denies Israeli citizenship to many Arabs who were born there, while giving the right to Israeli citizenship to anyone born to a Jewish mother anywhere in the world, who may never have even set foot in Israel, the obvious basis exists to create a powerful wing of the ruling class in the West with a material stake in Israel. Israel is a capitalist state, and like all capitalist states, as Marx stated, it acts as the collective organisation of the capitalists of its own country. The Law of Return, however, gives a stake in the state itself to capitalist citizens who reside abroad, and also have citizenship of important imperialist countries such as the US, Britain and others. They have a similar stake in those bourgeois states also. This creates an unusual phenomenon of ‘overlapping’ ruling classes which in our view explains rather a lot in terms of the specifics of today’s politics. It is also demonstrable that ruling class figures of Jewish origin are massively overrepresented among neo-conservative militarists and neo-liberal ideologues, and that this political trend has acquired great moral authority among the non-Jewish ruling classes of the Western countries. This powerful trend has many non-Jewish ruling class supporters, but in its core it is Jewish ethnocentric politics – that is, pro-Israel, anti-Arab racism, that drives it. This provides the material basis for very powerful pressure groups within the ruling class to adopt policies that directly victimise the Palestinians and for the Western powers to carry into action policies that really benefit the far right in Israeli politics, which have become more and more dominant over time. It should be noted that the rise of this phenomenon, which has happened concurrently with the rise of Israel to world prominence in the post war era, has effected a major change in politics in Western countries including on the far right. So much so that the traditional anti-Jewish racist element on the far right has become an endangered species. It is no accident that some of the most notorious far right movements today, very much unlike half-a-century ago, are pro-Israel. The English Defence League and PEGIDA carry Israeli flags; the Norwegian fascist mass murderer Anders Behring Brevik flaunted his pro-Israel sympathies at his trial. This is also very evident in the Tory Party in the UK, whose right-wing in the pre-war period was anti-semitic and pro-Hitler. The leader of the section of the right of the Tory party who was most consistently anti-Hitler, Winston Churchill, was a notorious anti-semite. Their exact equivalents today are philo-semitic, pro-Israel and anti-Arab. And with the phenomena of Blairism, where considerable elements of the Labour right are politically very similar to Tories, the consequences for Labour are also not hard to deduce. We believe that this is one important reason why the Labour Party under Jeremy Corbyn has been targeted for smears, disinformation and destabilisation by right-wingers within Labour who are in many cases ‘Friends of Israel’ and work with the Tories and their media (which also happen, not coincidentally, to be pro-Zionist), again as demonstrated in the Hutton document quoted above. And the witchhunt against Socialist Fight and Gerry Downing is a key part of that. “I understand that the reason for the NEC’s decision to auto-exclude you from membership, was the support you have shown through social media, for the organisation Socialist Fight. Your Twitter account also states “I am a Trotskyist retired bus driver with ambitions to end capitalism on the planet by socialist revolution”, which against the aims and values of the Labour Party”. As with Downing’s other pieces, these seem to be examples of half-baked Marxist approaches to complex world events, rather than anything more sinister. It doesn’t seem likely that Downing is anti-Semitic, so much as ingenuous in how this material comes across. Dave Rich, Gerry Downing’s ‘Jewish Question’.